Ditch the jeans and hold that lovely cup graciously. 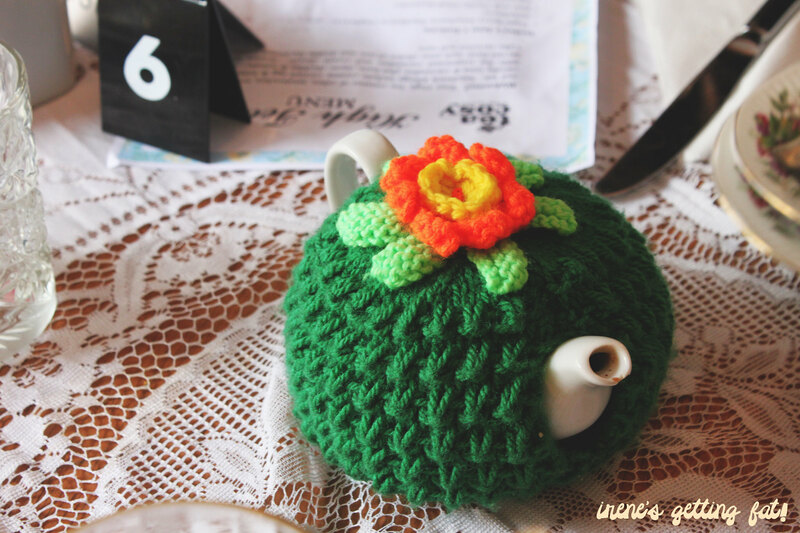 Tea Cosy is well known; a little spot of cuteness and lovely teapots along George St at The Rocks. 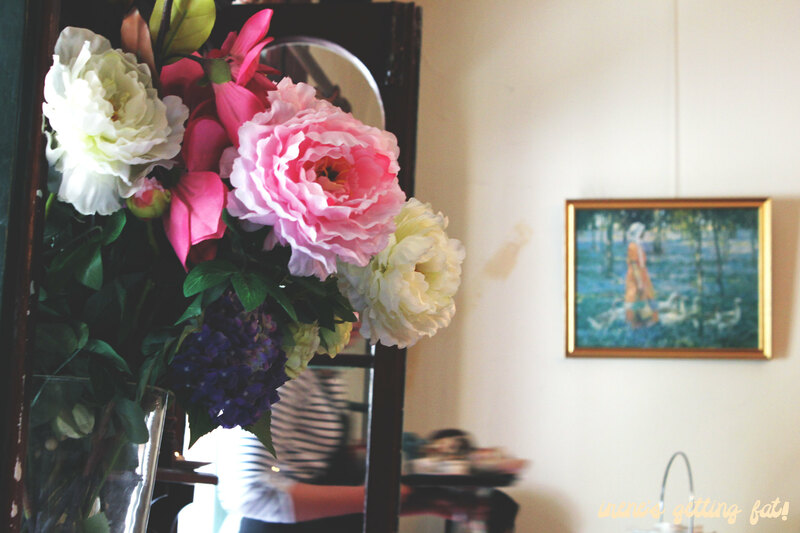 It is where the scones fairy lives, providing customers who are mostly ladies with gorgeous table setting and affordable high-teas. The interior is rather petite, although crammed with pastel coloured flowers, table cloth, tea towels, and many other squealing-factors. 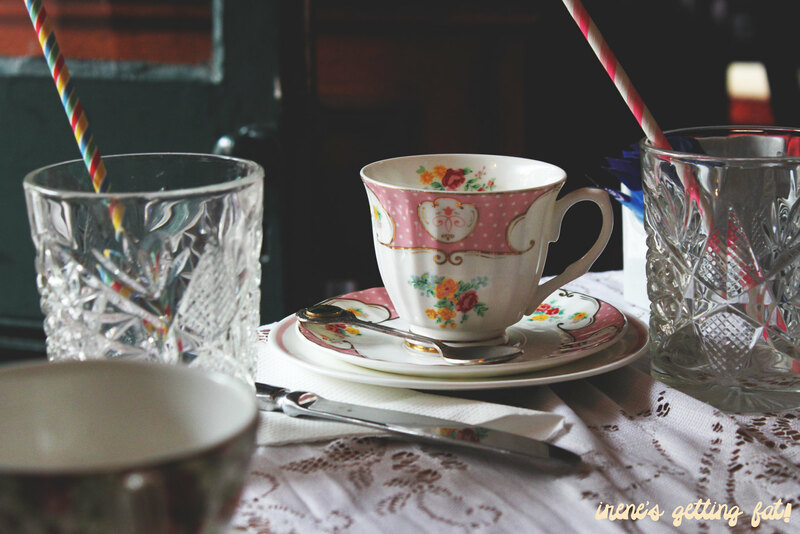 Each tea pot has its own snug cozies, and the tea cups are adorably elegant and varied in colours and features. 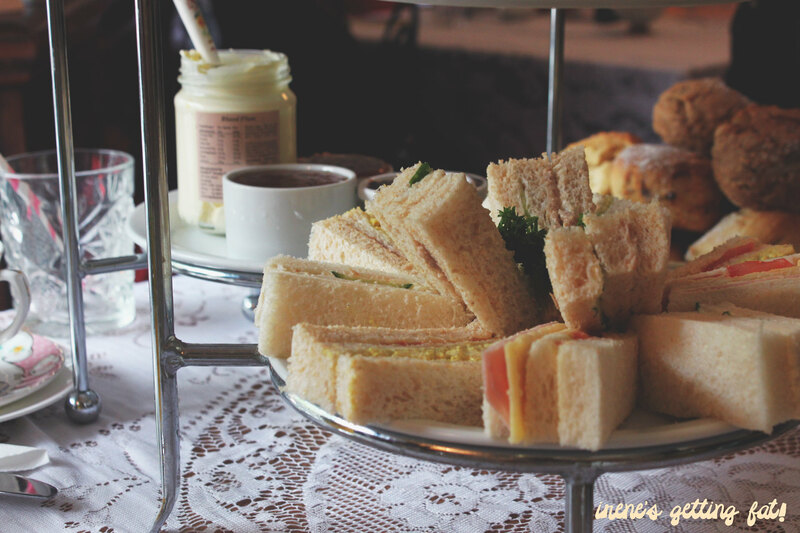 It was $35 pp high tea set, which includes scones (plus jams and cream), mini cakes, sandwiches, and two drinks per person. 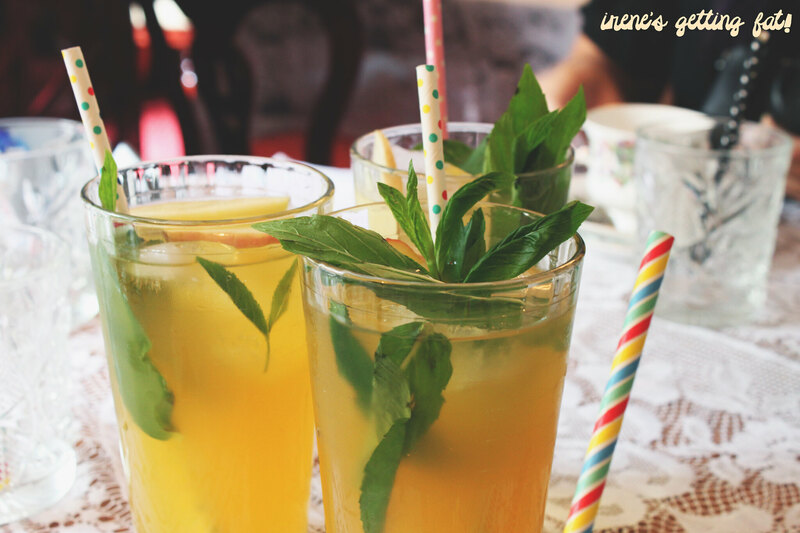 The iced teas (which I am dying to have whilst writing this post on a 37 degree day) are very refreshing to say the least; my favourite is the fruity and sweet mango and apple. The hot herbal teas are not only served in a adorable manner, but also quite distinct in flavour. 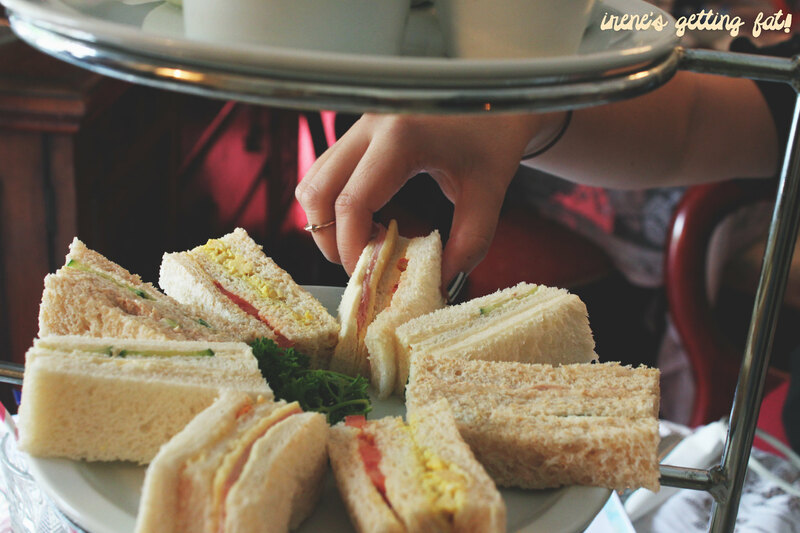 Finger sandwiches with fluffy bread is a quite a winner too; fillings vary from creamy curried egg & tomato, tuna & cucumber, ham, dijon, cheddar & tomato, and cucumber & cream cheese. 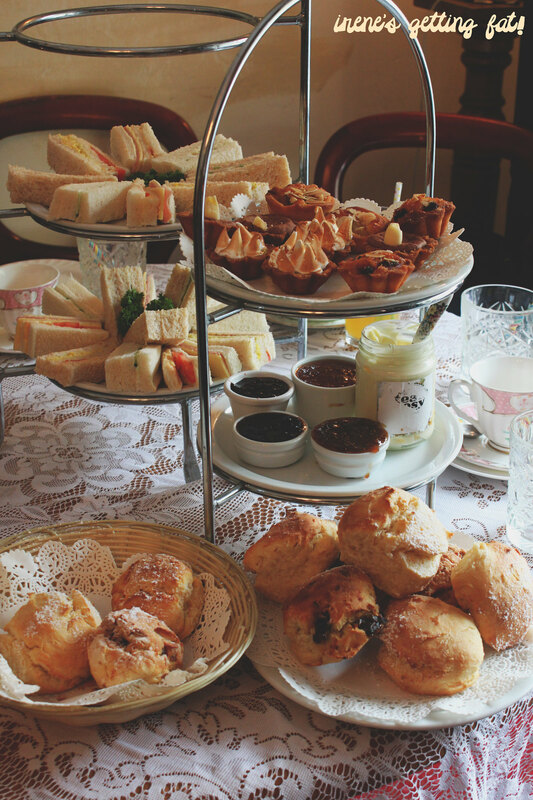 While I barely paid attention to the little cakes, the scones are definitely the show-stopper. Crusty edges with warm and fluffy insides; best with lots and lots of the silky smooth double cream and tangy jams. I am a big fan of the triple berry and strawberry jams. The pear & vanilla is also enjoyable, while everybody seem to be a little bit apprehensive about the fig and ginger. Three types of scones were on offer that day: date, apple crumble, and plain. All great and satisfying. 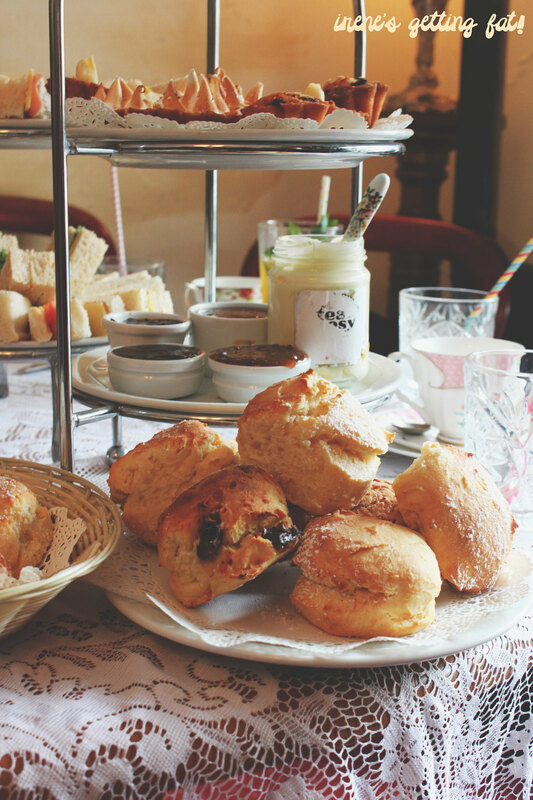 We were supposed to be elegant and behaving like a proper lady on the high tea, but seriously, when five food bloggers with their own cameras were in action, not even the scones fairy could stop them. Great high tea selection/menu. Service can be slow, but otherwise friendly. Great decorations and ambiance, price is very reasonable. oh man how good are the scones here, always so light and fluffy! This is the cutest little place! And I can never resist a good scone!